Hello and welcome!Colourful Cactus Flowers (CCF) is brought to you by maker Christabel Mitchell. 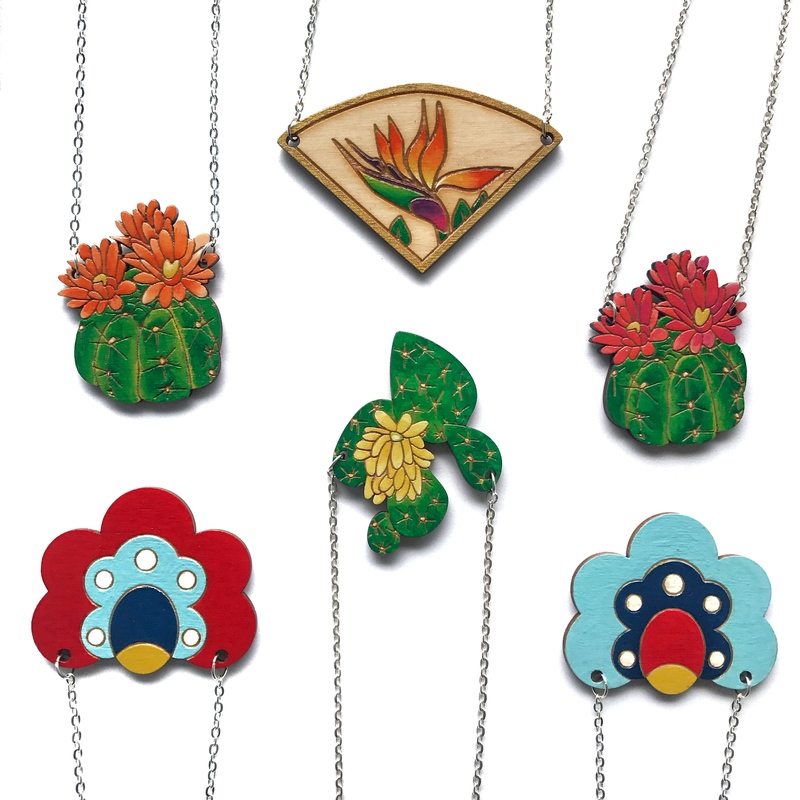 Our designs take inspiration by all things floral, tropical, botanical, colourful, folk art and art nouveau! We aim to create unique pieces of jewellery that are fun, quirky and pretty. We are a small independent business based in Yorkshire, UK. All our jewellery is designed and handmade by us (apart from the laser cutting part). We want our fun jewellery to bring you happiness and help you feel good for the day ahead. Brighten up your look today with one of our pieces. Please visit our Jewellery Gallery page to view the range. or send us an enquiry here.